I’m not sure how many times I’ve spoken with a friend or new client and when I’ve asked what steps have they taken to lose weight in the past and the answer was “I cut carbs out of my diet.” I usually shake my head and ask if they’ve had any headaches or loss of energy while trying this method and, sure as C4 give you the beta burns, they reply with “Yes.” There are so many reasons as to why you shouldn’t completely cut carbs out of your weight loss diet and I know it sounds crazy but trust me. 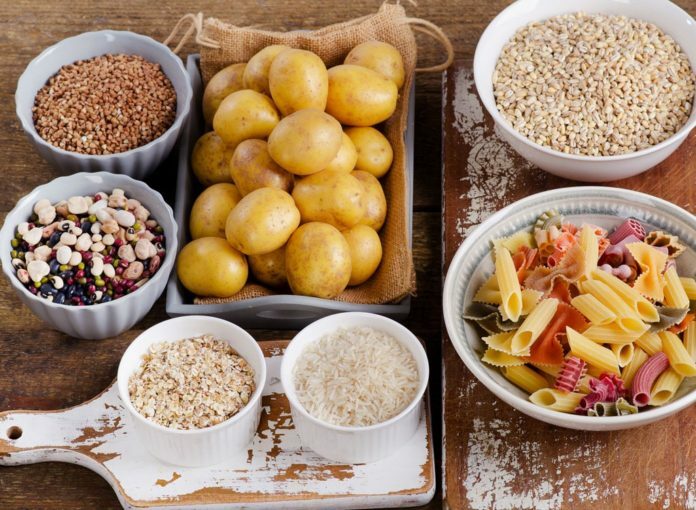 First and foremost, carbohydrates are your main source of energy. Even with proteins and fats in a diet, they act more as fuel seeing the body takes longer to process proteins and fats than it does carbs. Carbs, when consumed are usually the first and immediate source of energy during an activity. We need a lot of fuel and energy to keep our bodies working when we’re at the gym or doing any daily life activity. When you cut out carbs completely during a diet, it may seem as if the weight is just shedding off but you’re depleting your system of a valuable source of energy which can turn out to be harmful to your muscles and liver. Glycogen is the product after carbs are broken down. Your liver and muscles both store glycogen as a source of fuel and energy but when you deplete your system of the necessary glycogen needed your body uses the glycogen reserve stored in your liver and muscles. You can use up the glycogen in your liver and muscles as quickly as two days. With the loss of glycogen, it may look on the scale as if you have loss some weight, but instead you are losing valuable fluid necessary for your body to function. Typically, you will find that those who are on low carb or no carb diets tend to quit working out and have more bodily aches due to the high stress put on the body. Without carbs, your muscles become fatigued quicker and take longer to recover. If you’re looking to lose weight, you should keep moving, and if you have no energy to move, you can’t lose weight. With the loss of carbohydrates, you are probably dehydrated. In a low or no carb diet you may find that fats are usually the replacement. You may see a diet with a meal consisting of nuts or adding healthy fats like coconut oil. As much as those are healthy alternative choices for snacks and unhealthy fats they can linger in your system for longer than you’d like. Fats can provide up to tens of thousands of calories to fuel your body, but the down fall is that it burns slower than carbs. It’s also easier to eat fats than carbs and with that can cause you to add a surplus of calories to your diet which will result in weight gain. Limiting and eating carbs in moderation and before physical activity helps you create the energy needed for your body to perform while still being able to lose weight. Carbohydrates are a key Macro in any diet, may it be for weight loss or muscle building, and are necessary for a healthy diet plan. Misusing the stored glycogen in our bodies can end up having long term effects on our liver and muscles. Not only are headaches and fatigue a side effect but studies have shown low carb diets have attributed some cancers. Instead of restricting ourselves of some of the pleasures of carbs, we should embrace our energy giving foods (in moderation of course) and expel the extra energy enjoying life.